Up to 12 months, as low as Rs. 11,500 per month. 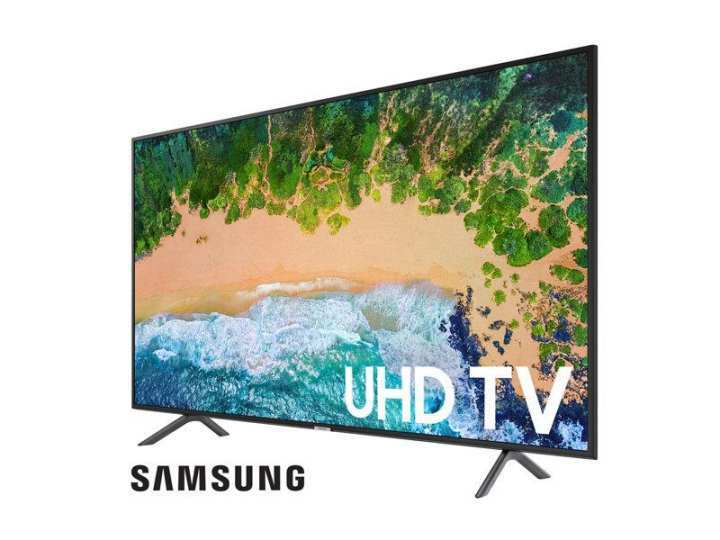 UHD, Get connected, get more delight * Product design and specifications may vary depending on the model and size of the TV. 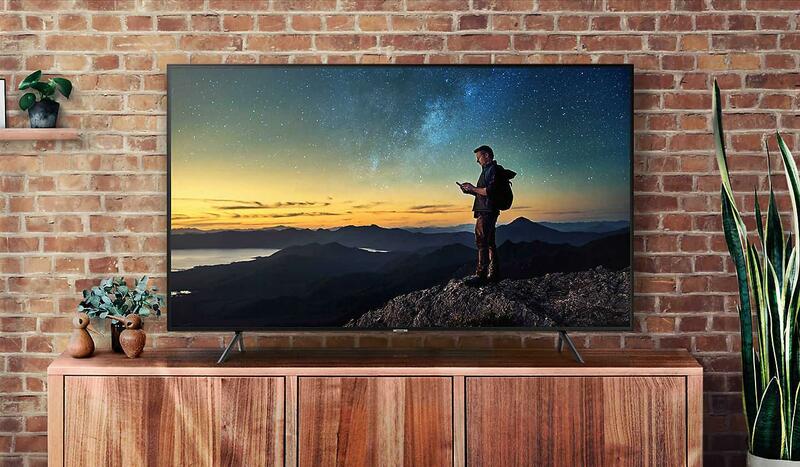 Real 4K UHD Resolution Enjoy sharp, crisp images with 4K UHD TV that has 4x more pixels than FHD TV. Now you can see even the small details in every scene. 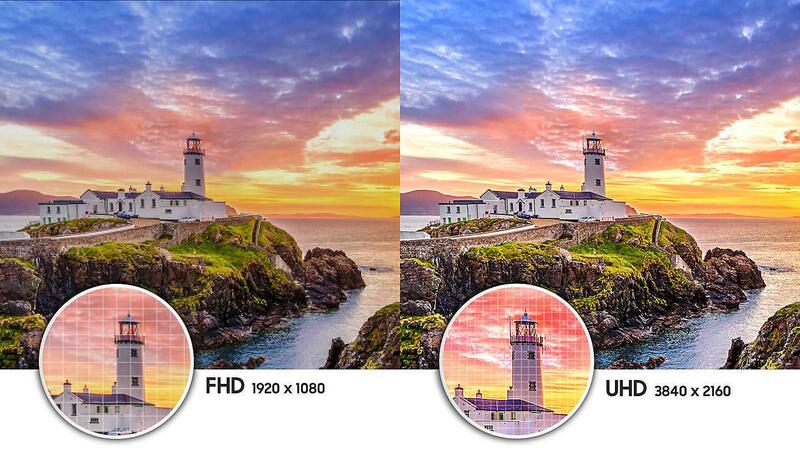 HDR, see more details Watch HDR content with better clarity and detailed colour expression. 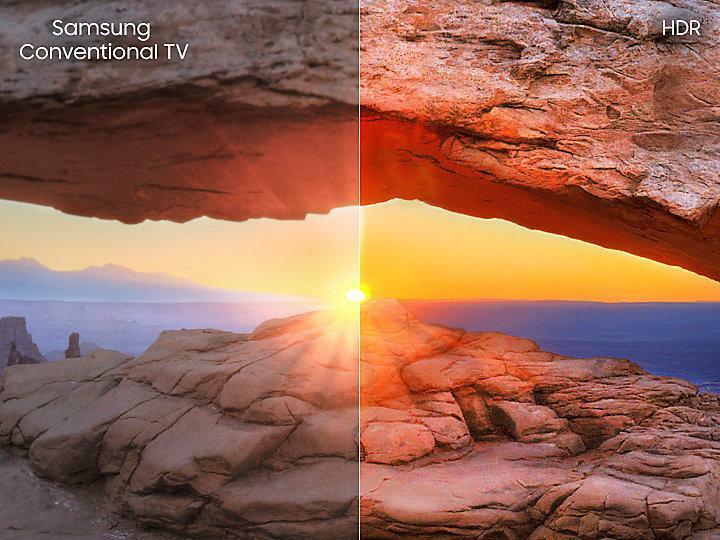 Samsung UHD TV gives you more accurate details in bright and dark scenes. * Compatibility with all HDR content is not guaranteed. PurColour Watch your favourite content with natural colours that deliver details as crisp as the real thing. 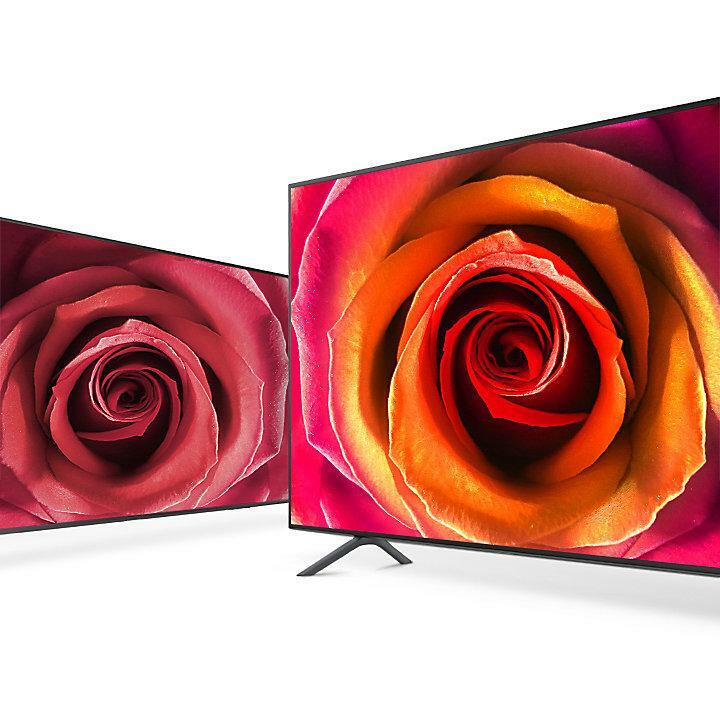 Get a more colourful viewing experience. 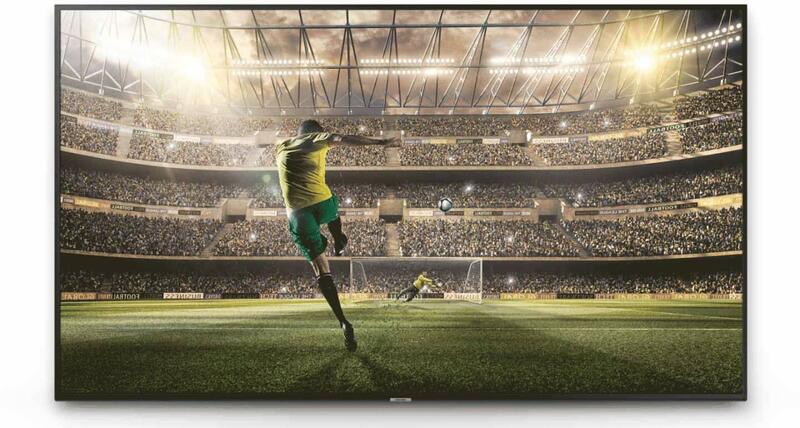 UHD Dimming Enjoy colour, sharpness, and contrast levels optimized for your viewing. 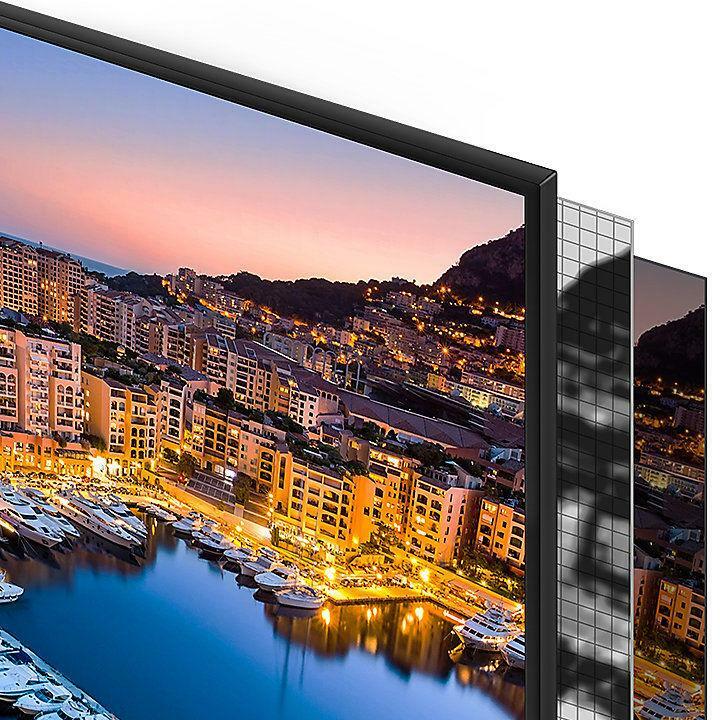 UHD Dimming divides and processes the screen into small blocks so you see more precise details. 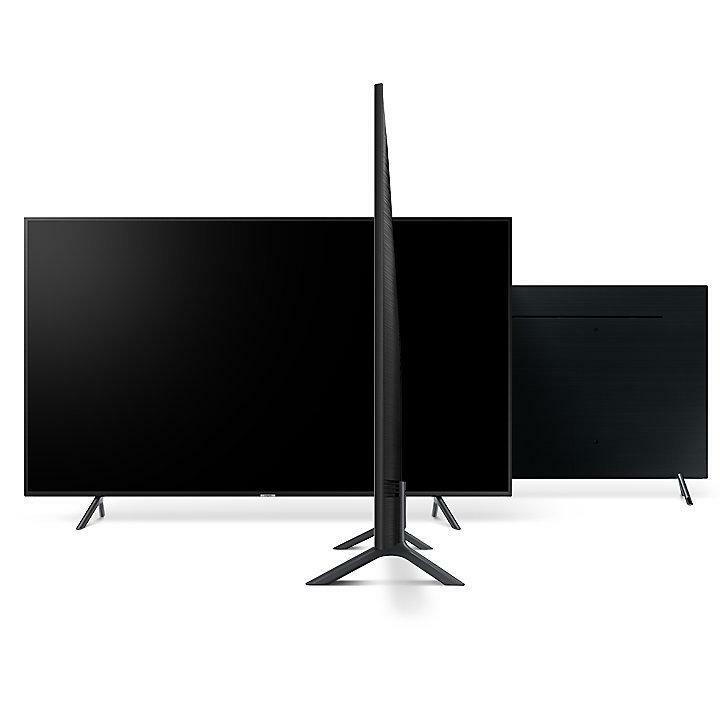 Super Big TV, see the bigger picture Experience on-screen entertainment on a much larger scale. Get a breathtaking cinematic experience and even feel like you're at the sports game with an enhanced level of immersion. 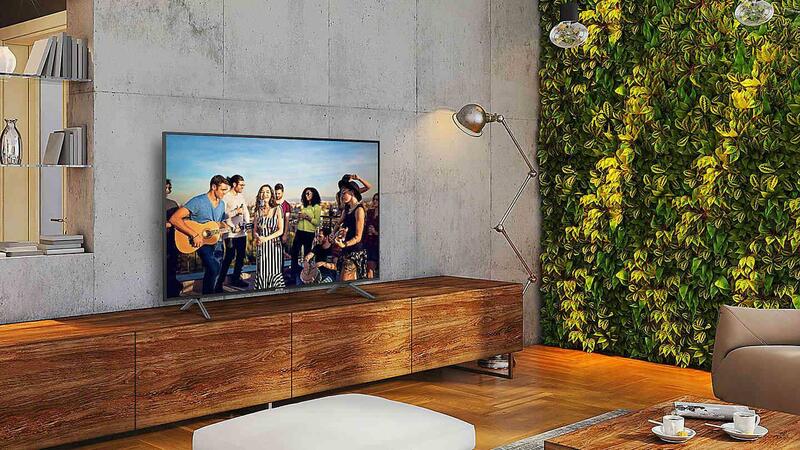 Slim and stylish in your space * Actual product may differ from image shown. 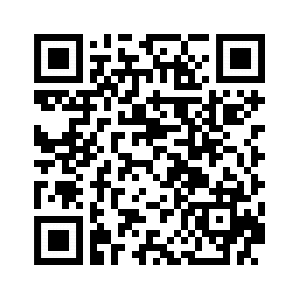 Please see our product gallery. Slim Design Modern and polished, the sleek design naturally fills the contours of your space with refined design. * Actual product may differ from image shown. Please see our product gallery. 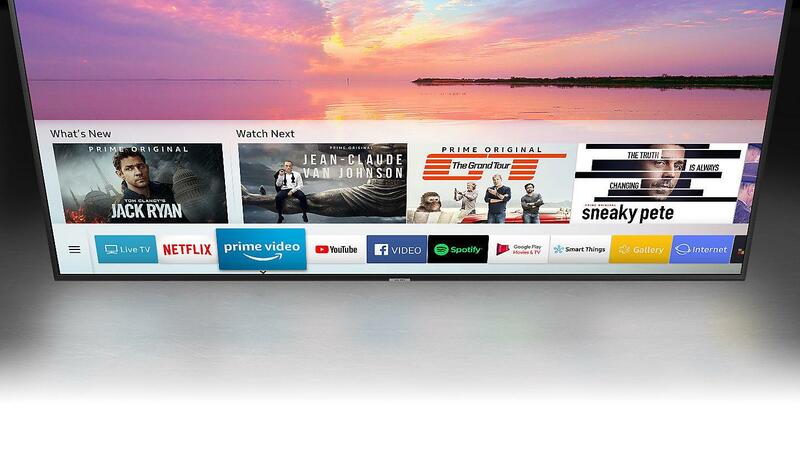 An intelligent way to enjoy the smart TV Get to your entertainment the faster, easier, and intelligent way. One Depth gathers a variety of content for you on one screen. Get easy access to different content providers and check out the thumbnail previews before diving in. * Images are simulated and for illustration purposes only. The appearance and design specifications which is not affecting to product performance are subject to change without notice. ** Smart service and GUI(Graphic User Interface) may vary by model and region. *** All devices must be on the same network and Internet connection is required. **** Netflix streaming membership required. SmartThings App, just one app for all The SmartThings app offers features such as Remote Control and Mirror Screen. Content Sync & Share Take full advantage of the Samsung Cloud. 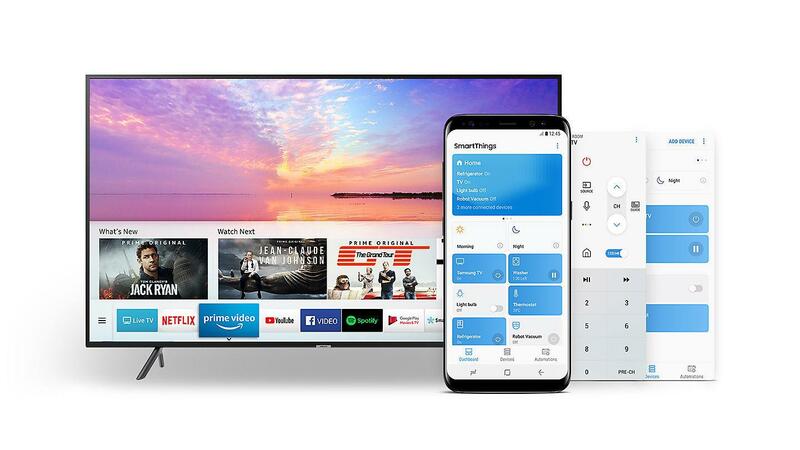 Seamlessly connect your Samsung smart devices to sync photos. 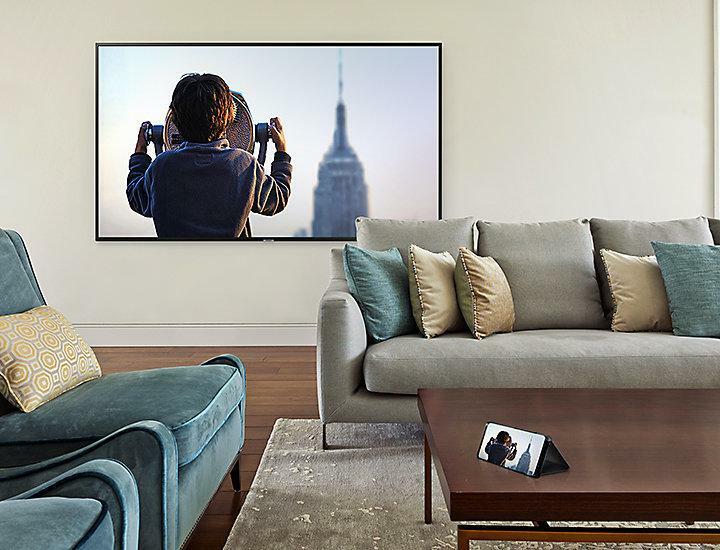 Now you can share your mobile pictures and enjoy it on the TV or refrigerator screen. * Compatible devieces only. More Contents It doesn’t stop here. Endless content awaits. Steam Link Enjoy your high speed PC games on the TV via Steam Link. Play your favourite PC games on the big screen without having to squint and hunch over a small monitor.